Defined stops allow families to choose a bus for their camper that will be making pickups or dropoffs are pre-set locations. 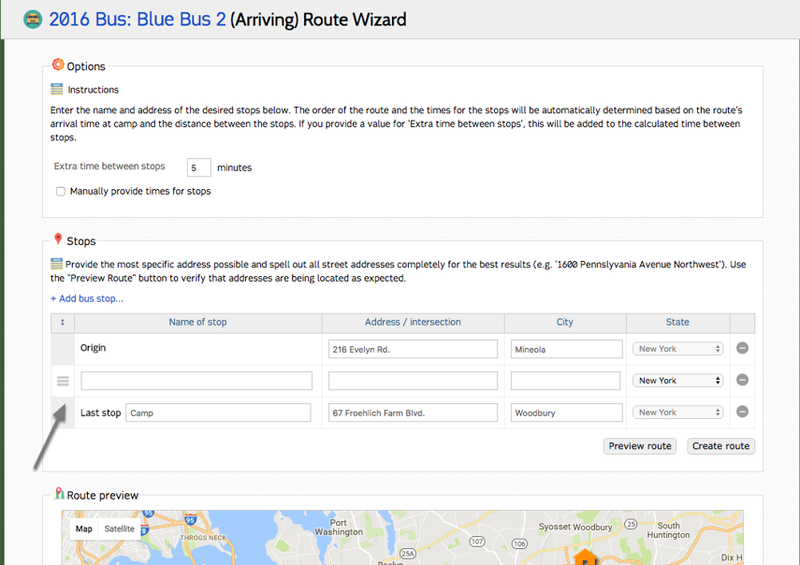 If your bus does not have any stops set, you can click Route Creation Wizard to easily add your bus stops. 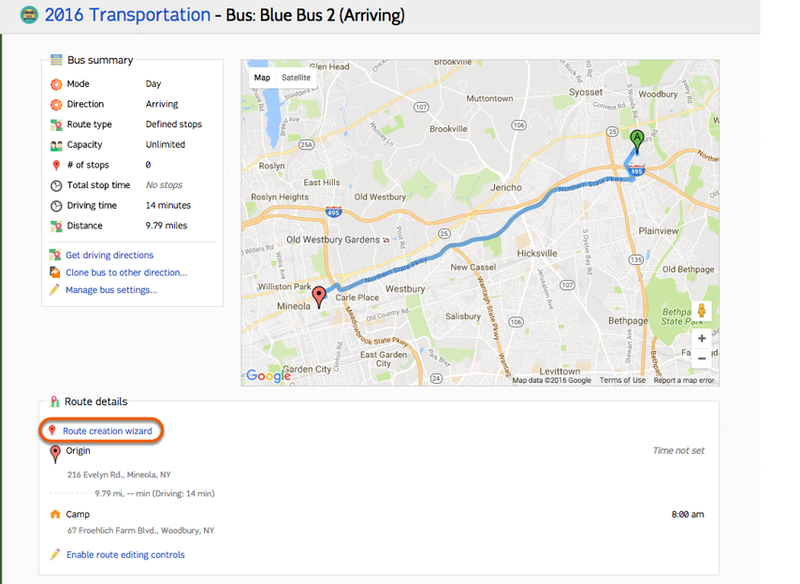 Existing stops can be edited by clicking Enable route editing controls. 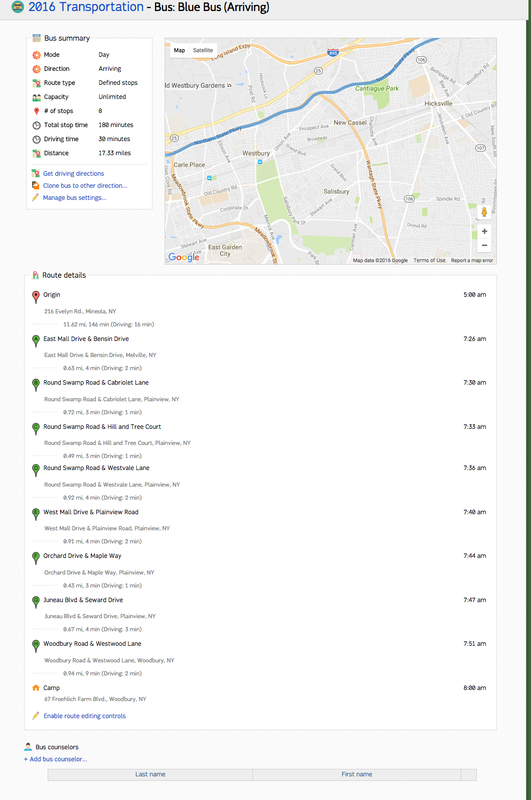 The Route Creation Wizard makes it easy to plan a bus route by automatically ordering your bus stops between the first and last stop. The "last stop" for arrivals, or "first stop" for departures will be set automatically to camp's location. Enter the first or last stop of the route, and click +Add bus stop... to set the waypoints in the middle of the route. You may set any number of minutes to provide extra time between stopes, or manually provide the pickup or drop-off times. The waypoints can be added in any order. 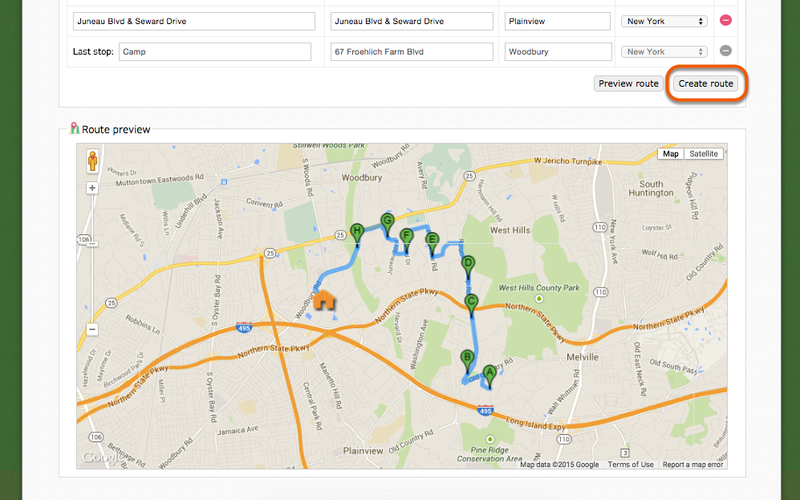 Click preview route to see the locations plotted on a map based on the most efficient route. The route will be plotted on a map. Click Create route to save the route for the bus. The bus stop will be added, along with the assigned time. 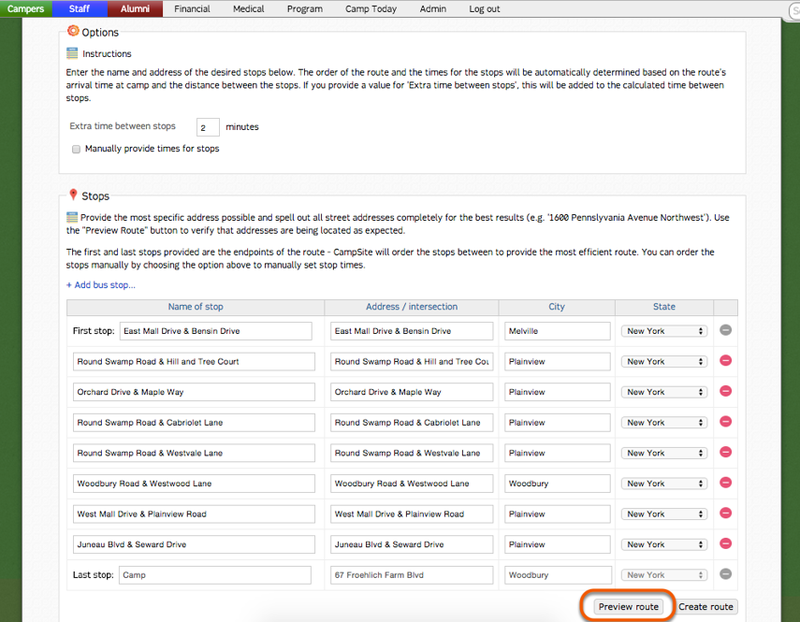 The route can be further edited by clicking Enable route editing controls. To add bus counselors click "Add bus counselors..."